Diving into digital marketing during its nascent stage, Lisa Peyton is today among the leaders in the field, particularly so in the Pacific Northwest. Based in Portland, Ore., she serves as Intel’s Global Social Media Strategist. 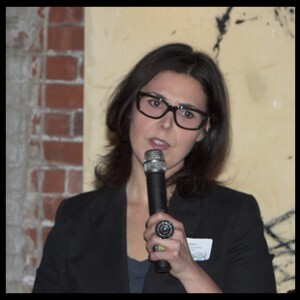 Her hands-on experience includes implementing successful digital strategies for both B2B and B2C campaigns, for brands such as Alaska Airlines, Hewlett Packard Enterprise, Power Rangers and Paul Frank. The quality and breadth of her work has been recognized with several SoMe social media awards. As a pioneer in the social media industry, Lisa has been both guided by the industry’s evolution and had a hand in directing it, capitalizing on the power of social media to increase her clients’ online visibility and overall marketing efforts. She has honed her skills to specialize in comprehensive digital strategies, to include social media strategy and development, brand storytelling, audience engagement and education. Combining a measure of lightheartedness with her social media mastery, Lisa has tweeted as Mad Men character Bobbie Barrett. Her tweeting as the acclaimed AMC show’s notorious vixen garnered national attention and a SAMMY Award nomination.